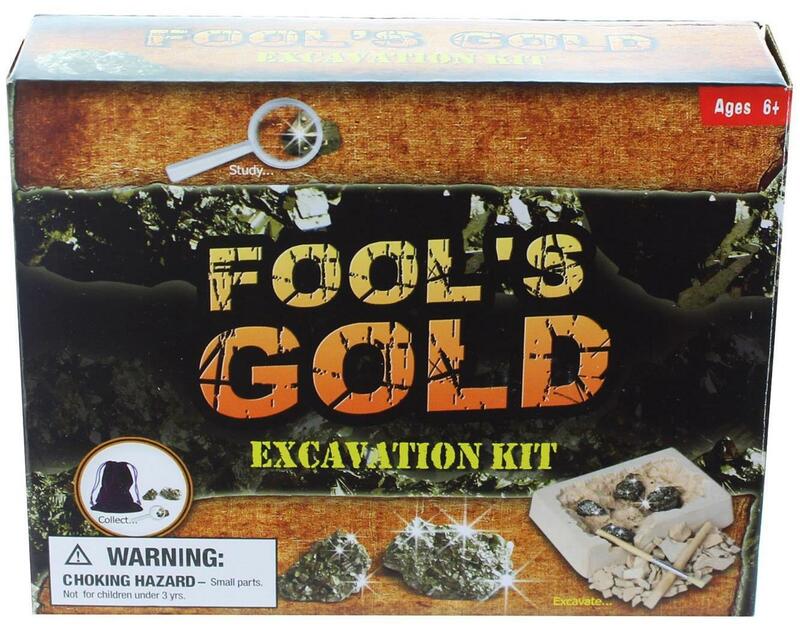 Excavate real pyrite with this hands-on digging kit! Use the digging tool to gently scrape away the plaster to dig out the fools gold! Includes digging tool, brush, magnifying glass and bag for storage! Great gift for anyone interested in rocks, science, geology, or paleontology. 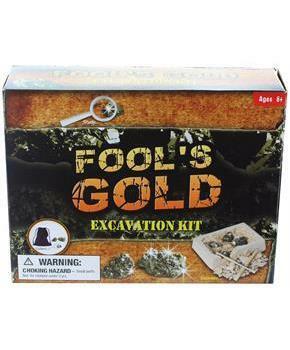 Excavate real pyrite with this hands-on digging kit! Use the digging tool to gently scrape away the plaster to dig out the fools gold! Includes digging tool, brush, magnifying glass and bag for storage! Great gift for anyone interested in rocks, science, geology, or paleontology.